No matter how liberal we have become in our thoughts, youth suicidal attempts are on the increase. The biggest cause of youth deaths here is due to suicide, followed by Road accidents and tuberculosis. A Teen, who is as fresh as daisy, as keen as mustard, suddenly take such a huge and punishing step. Wonder why? Difficulty to cope up with competition in studies, needing to belong to their tribe, the parental pressure or demand of space for freedom. Researching the number of student suicides which is as high as 1 student per hour in India, it all point towards the need to train Kids for Life. 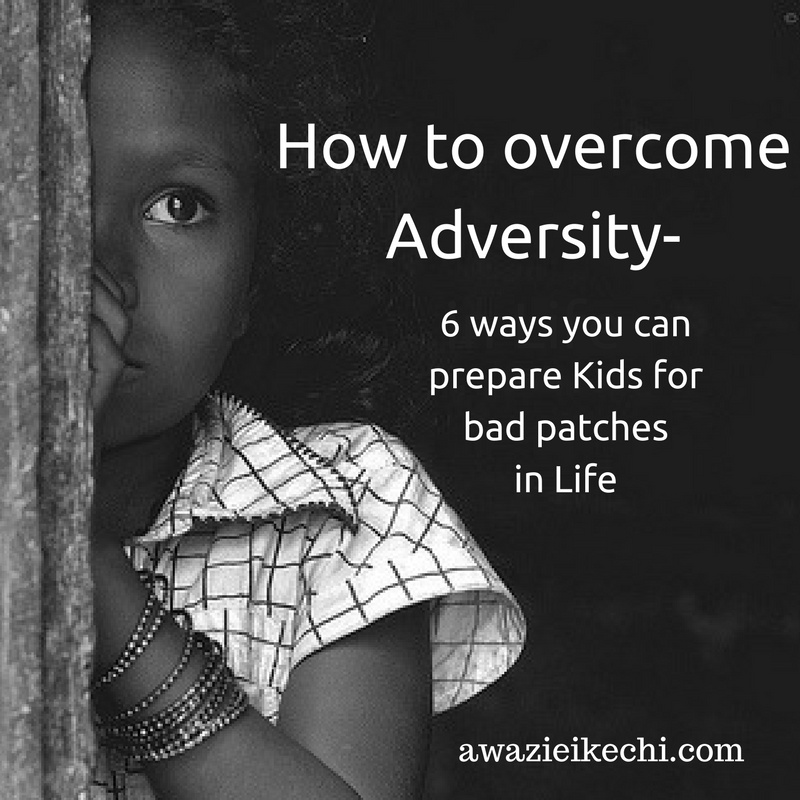 It stresses the need to teach them how to overcome adversity in Life. At some or the other point in Life, children will be faced with adversity such as sadness, opposition, difficulty, frustration, or stress. The reason may be any; choices, actions, accidents, illness, relationships. Handling and overcoming these unavoidable adversities of Life starts at Home and is one of the important Life skills Parents should teach their Kids. Each one of us fear failure but some manage to overcome and win over this fear. I too was a tough child who used to tear apart my own drawings if they did not meet my own expectations. I was the one who once said “I do not accept defeat from anyone”. It may be arrogance back then but now when I see it, it was ignorance. Overcoming this fear wasn’t easy and it took long to accept. My Mother helped me understand the importance of failures. 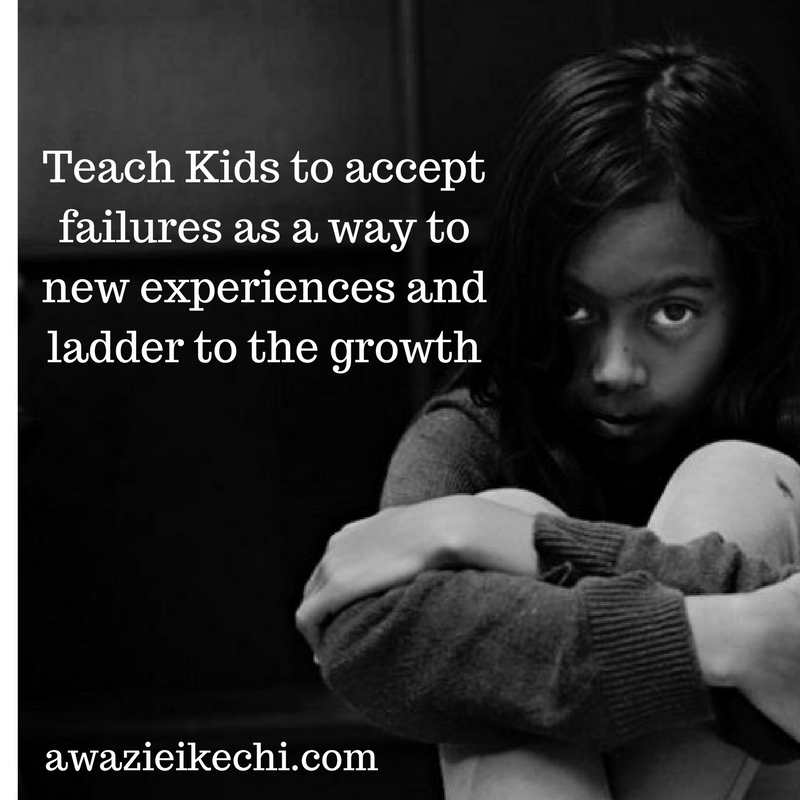 Teach Kids to accept failures as a way to new experiences and ladder to the growth. How cliché it may sound but it’s true “Compete not to win but to learn”. At first, let them identify their emotions. Ask them how they are feeling. Do not advice them to suppress the emotions but rather help them find a constructive way to vent out the strong emotions. You are the first person whom they can count on, so give them the freedom to express their emotions. Ask them to discuss it with you or if they feel shy, ask them to write about it. There were many times I asked my Mother “Why me” and every time she calmly replied “Because you are special. God want you to perform better than this or get better than this”. Even if they throw tantrums, handle it with care and try to find the reason behind. Once calmed down, explain to them that feelings come and go. This will help them to deal with mood swings, bad days and depression; a major cause of suicide. DO NOT let them stuff these emotions inside to be blown up one day. Teach them to be resilient. Teach them the ability to rise above these bad patches in Life. Make them believe that these not-so-good experiences helps us start fresh and better. Explain them that these adversities (Rejection, Failure, Death, loss or tragedy) are part of Life. Advice them not to resist or hide them but face them and deal with them. You can’t be there to support or calm them every time they feel low or left out, so prepare your child to manage setbacks. Look at failures as an opportunity to prepare them for future. Being Parents, we always feel happy to fulfill their demands but let them wait for it. Let them learn the art of Delayed Gratification. For example; If Kid wants a new big toy, ask them to wait till their birthday or any nearby event. Even if something didn’t work out, ask them to choose alternatives. Suppose if a picnic plan has been canceled, ask them to think about other exciting things they can do- i.e. Plan B. Do not compare your own childhood to what your kids are going through. It makes them annoying and they may hide the things from you in future. Time has changed a lot since you were a child and so does the problems. Blame Social media or education pressure or consciousness about their body image, there is so much they need to deal with. Support them; with words and actions; even if they failed. Most importantly, be their role model in handling difficult situations of Life. Express your problems to them and the way you are reacting to it. Keep the tone positive. Do not show anxiety or panic. For example: When you did not get expected promotion at work, use phrases such as “No issues, may be next time” or “I will work more harder”. When you make a mistake, do not feel shame to express Sorry. It will help them accept their own mistakes in future. Note: As Parents, you should keep an eye to look for any signs of bullying, teasing or body-shaming.